Drones for wildlife: the securitization of conservation? We have come to know drones as one of the newest technologies of warfare and surveillance, a weapon central to how the war on terror is now being fought: remotely and increasingly through the use of computerised devices or robots. But another perhaps surprising use for drones has been developing in parallel, perhaps explaining why the World Wildlife Fund has been a major supporter of drone research since 2012. On the same day last week the Guardian newspaper published two separate reports on drone usage. The first described how drones are going to be used in Kenya’s national parks in an effort to prevent poaching, whilst the second reported that in Germany drones will be used to protect young deer from being injured by combine harvesters. These developments raise challenging questions about the development of new technologies. Do the intended purposes of a new technology matter when it is used for something different? Should we be interested in who the funders of technological research and innovation are? Can we assess and understand the uses of drones in wildlife conservation and, increasingly, research without understanding the use of drones as a technology of violence and surveillance? Is this the latest step in what some have referred to as ‘the securitzation of the environment’? A recent themed section of The Geographical Journal, edited by Michael Mason and Mark Zeitoun, focuses on the issue of environmental security, both as a driver and consequence of increasing anxiety and apocalyptic accounts of the environment. In their introduction the editors argue that such fears about dangerous climate change or species extinctions work rhetorically to justify certain actions as urgent or emergency measures, from solar radiation management to crack downs on human behaviour and liberties. Whilst few would doubt the seriousness of the threat from poaching to elephant and rhino populations in Kenya, by treating recent population depletion as an emergency scenario or a matter of security the Kenyan Wildlife Service and other conservationists may be serving to legitimate the use of a highly questionable conservation method. The use of drones for surveillance in Kenyan national parks represents a new method for policing ways of acting and being in a national park. The appropriate usage of national parks has long been a matter of controversy, not least because during the creation of many national parks, human populations had to be forcibly removed or regulated. Drones will potentially collect data not only concerning suspected poaching, but also other activities within the national park; all national park users can now be watched and surveilled. This may result in the management not only of poaching in the national parks, but also much more ambiguous activities such as attempts at settlement or the use of other resources. Whilst it may be convenient to tell a simplistic story about ‘evil’ poachers and ‘good’ conservationists, such narratives can mask the more complex realities and the many negative implications the creation of national parks had for affected communities. Individual poachers may often be acting out of desperation, for example the lack of an alternative source of livelihood. Furthermore, poachers rarely act alone but rather are part of often transnational networks of capital, connecting them to infrastructures and markets for the sale of goods such as elephant and rhino horn. So surveillance may be unlikely to act as a deterrent on its own. 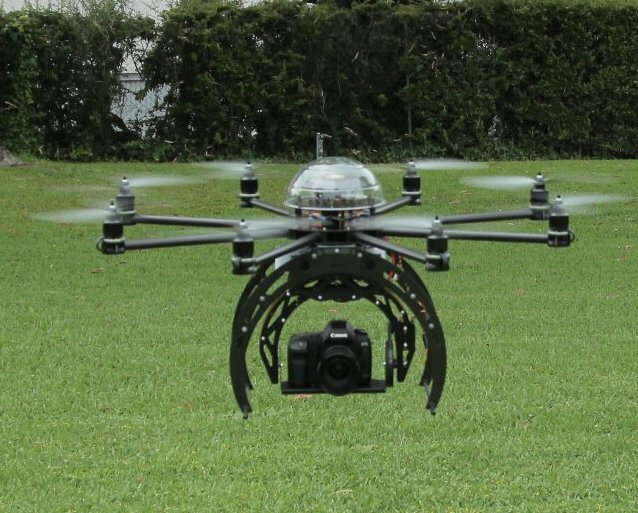 The Kenyan drones project has been jointly funded by the US, Netherlands, France, Canada and Kenya, and also includes supplies of other military equipment such as firearms, bulletproof vests and night vision equipment. In the Kenyan national parks, drones are to be used in areas considered too risky for surveillance by manned aircraft, already a common practice. In the context of such efforts to radically reduce the risks faced by wildlife rangers in the field and the increasing panic about the loss of elephants and rhinos, how long will it be before it is acceptable to shoot suspected poachers on sight? Furthermore, once the infrastructures for drone use are in place it would be relatively straight-forward to substitute surveillance drones for armed drones, and this could be justified as a further means of protecting national park employees. As we have seen with the military uses of drones, robots can make mistakes and claim innocent lives. Photos too can frequently be ambiguous and misleading, without other supporting evidence. Furthermore, these potential developments would further circumvent the justice procedures upheld by all the countries financially supporting the drones programme. In the context of albeit justified hysteria about the fast depletion of certain endangered populations, do we risk sanctioning an equally unpalatable solution? Claims of 96% reductions in poaching in some of the Kenyan drone pilots, alongside the circulation of horrifying images and statistics about the effects of poaching, also mean that other potential methods for conservation and poaching management may increasingly be ruled out and foreclosed. This entry was posted in The Geographical Journal and tagged agriculture, Biogeography, conservation, Drones, Environment and Society, military, poaching, Surveillance on May 1, 2014 by helenpallett.